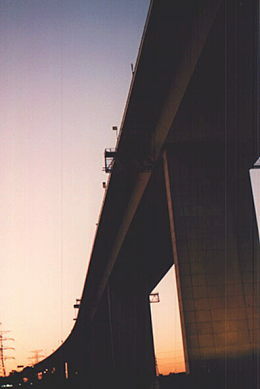 The Westgate Bridge links Melbourne central district to the western suburbs. It features a graceful arc that enables ships to pass under it. 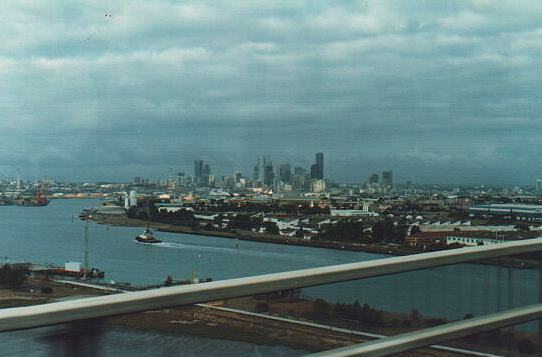 Passing over the Westgate Bridge, looking towards the city centre. 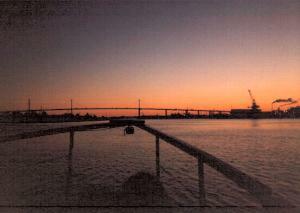 Passing over the Westgate Bridge, looking towards Williamstown and the bay.